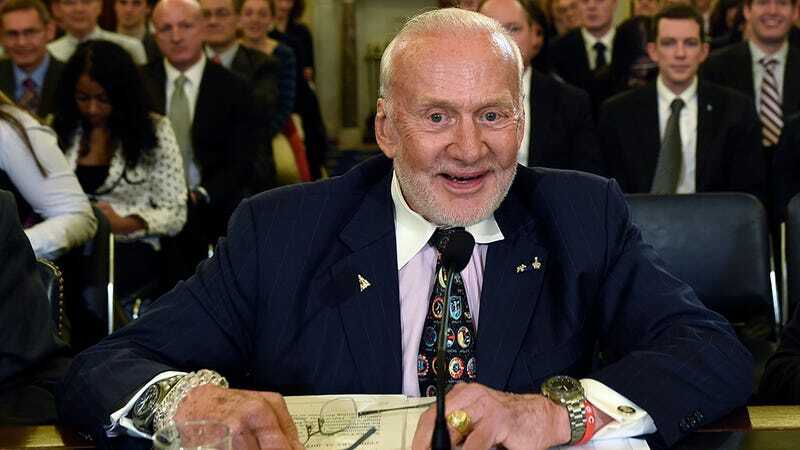 Buzz Aldrin, 86, was medically evacuated from a tourist trip to Antarctica after he began suffering from altitude sickness and shortness of breath. No one panic. After a week-long stay in a New Zealand hospital, the second man to walk on the moon is doing just fine. Adrin—a legendary astronaut with a mean right hook—was in the South Pole to experience Mars-like conditions and meet with scientists. After illness cut his trip short, doctors at Christchurch Hospital discovered congestion in Buzz’s lungs which has since cleared. Antarctica isn’t a popular destination for octogenarians for probably this exact reason, but let none say Aldrin is anything less than a champion of exploration and an absolute badass. News of Aldrin’s improved health comes less than 24 hours after John Glen, the first astronaut to orbit the Earth, passed away at the age of 95. Buzz, if you’re reading this, stay healthy. Would you like to yell at the moon with Buzz Aldrin?